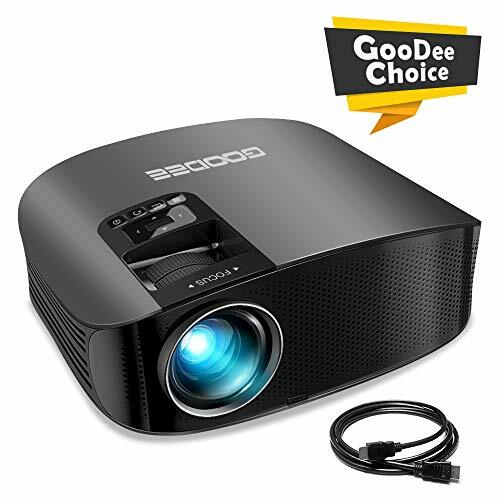 GooDee Video Projector 3600L Outdoor Movie Projector 200"
GooDee Video Projector 3600L Outdoor Movie Projector 200" is currently selling at $189.99, which is its normal price. It has a lowest price of $189.99 and is selling within its usual range. Price volatility is 0.15% (meaning it does not change often), so you might have to wait a while for the price to drop. Until then this is a recommended 'ok deal'. The current deal is also the best price on this item over the last month. 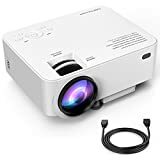 Compare the current price, savings (in dollars & percent) and Buy Ratings for the top Portable Projectors that are closely related to GooDee Video Projector 3600L Outdoor Movie Projector 200". Here is how GooDee Video Projector 3600L Outdoor Movie Projector 200" compares with other leading Portable Projectors. What's package:1 x GooDee Home Video Projector 1 x HDMI Cable 1 x AV 3 in 1 Cable 1 x Remote Control 1 x Projector Lens Cap 1 x User Manual Questions & Answers Q: Will this projector work with android phones/Iphone? A: For Iphone/Ipad: A Lightning to HDMI adapter cable or a HDMI WiFi display adapter is needed. For Android Device: Please prepare a MHL cable (Notice: Your device should support MHL function.) Q: Does it have built in rechargeable battery? A: This projector have not battery inside, you will need to plug it to a outlet. Q: Is the lens adjustable or do I have to move the whole projector to change the picture size? A: For now, you will need to move the projector to adjust the picture size. Q: Is it wifi and bluetooth capable? A: No, this is not a wifi or bluetooth projector, you can use this projector by connecting HDMI/VGA/USB DISK or Micro SD and so on. Q: Can this projector play Dolby sound? A: This video projector does not support Dolby related decode. FeaturesEXCELLENT IN BRIGHTNESS: Compared to other small projectors on the market, we have an absolute advantage in both brightness and clarity. 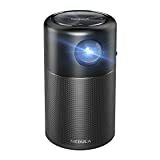 Adding 80% better brightness than other projectors (2200 lux), which can provide a brighter & wider viewing even in slight light especially in the outdoor place such as backyard, garage.HIGH RESOLUTIONE & 1080P SUPPORTED: Experiencing the home cinematic theater with GooDee new upgraded YG600 projector 1280*768P (normally projector is 480P), which could offer a ultra accurate & vivid video quality. Ideal for projecting movie, games, presentations and graphics.ENJOY BIG SCREEN with LCD TECHNOLOGY LIGHT SOURCE -Projection size: 44-200 inches with distance 4.9-18 feet, the shortest distance to focus is 4.9 feet, and the best viewing distance is 10 feet with 98 inch; GooDee home projector utilizes LED light source and LCD display technology, this ensures lower energy than conventional bulbs and also longer life.LOW FAN SOUND & UPDATED HIFI LEVEL STEREO AUDIO -GooDee video projector comes with a powerful cooling system that provides AWESOME HEAT DISPERSION and LOWER NOISE due to an improved fan design and the application of innovative materials. Complete your home entertainment experience with 2 powerful built-in 3W speaker. This speaker provides powerful, crystal clear sound quality without the need for costly external speakers.